Region of Vipava is famous for its unique wines, local hospitality and remarkable scenery. Natural farming is a staple of the region, and its progressive winemakers craft wines from organically grown grapes based on biodynamic principles. Is there a better way to explore this region than going on a wine tour with locals? ​Yes, there is! Going on a wine tour with locals but in an active style. 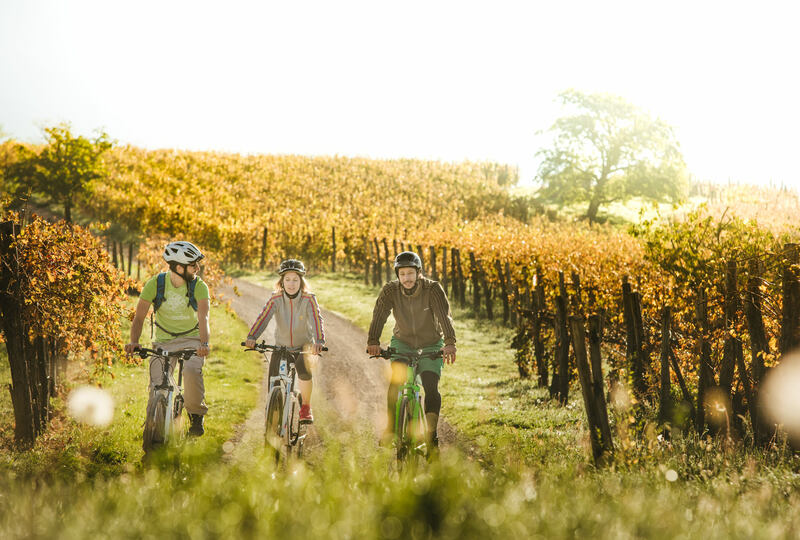 You can choose between cycling wine tours or hiking wine tours, see below. 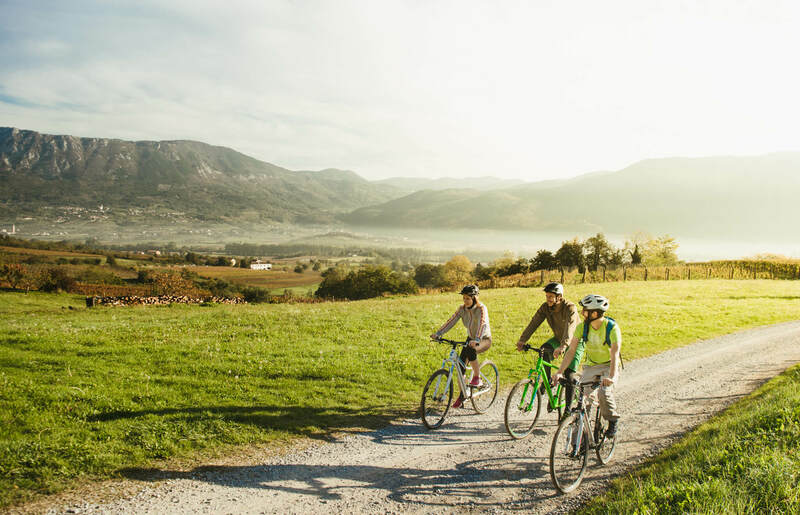 Unpaved paths among the vineyards and winding roads through the surprisingly pristine Vipava Valley’s villages are ideal for pleasant cycling trips. A stop at the winemaker will definitely be one of the highlights of the day! You will learn about the old winemaking culture and intriguing family traditions. Tasting autochthonous wine varieties and local dishes in the atmosphere of old wine cellars will make your journey memorable. 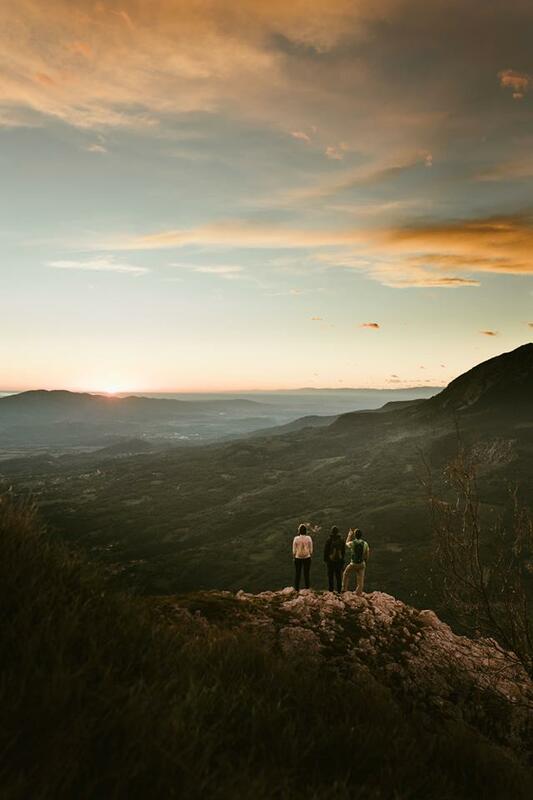 Vipava Hills offer one of the prettiest outlooks of the Vipava Valley. Take a hike on a not too demanding trail through vineyards and picturesque villages. 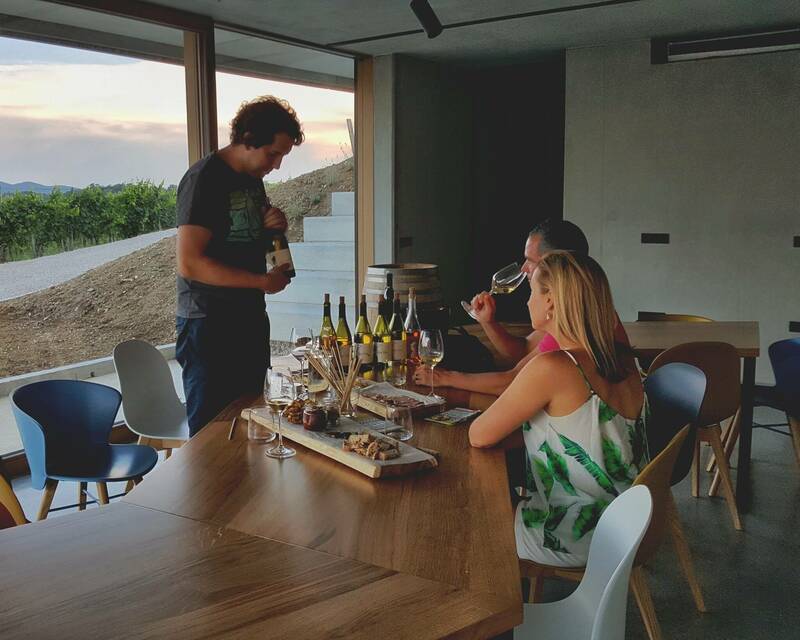 Get to know the local culture and rich history of the Vipava Valley and finish your day in a wine cellar tasting the local indigenous varieties. Meet the winemaker and learn about winemaking culture and intriguing family traditions.